All living beings have one or several subtle bodies, the number of which depends on the spiritual plane of BEING on which they live and if they are at the same time incarnated in another, lower plane, e. g. the material plane, in order to learn – because for every plane of being that we encompass we have a corresponding subtle body. 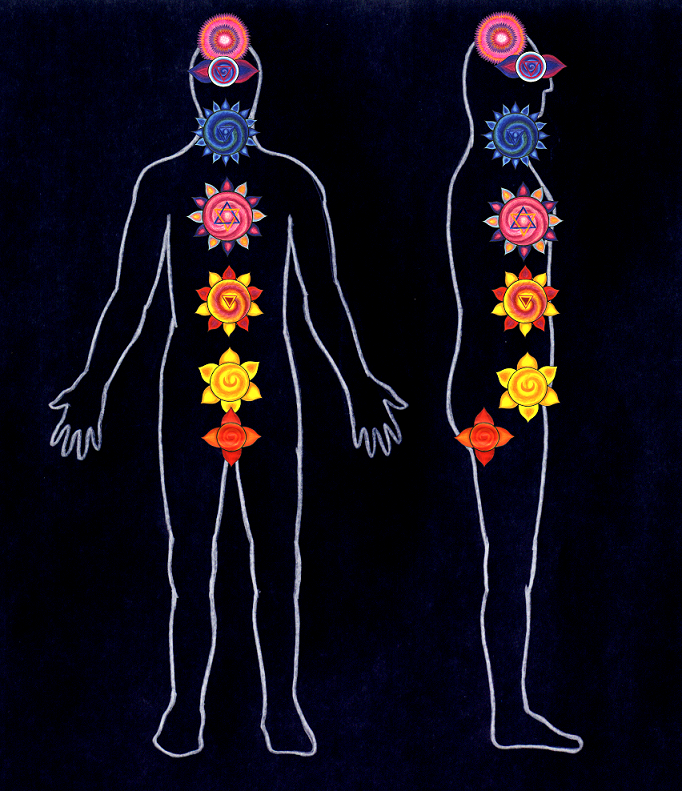 Every of these subtle bodies has organs – which are, in the first instance, the Chakras which receive energies (e. g. vital energy/ Prana) from the cosmos – that means, from the plane corresponding to them – and distribute them in the body; and secondly the energy meridians, on which these energies move through the body. "Chakra" is a word from the Sanskrit and means "wheel". This refers to the energy vortices or centers. These energy vortices are similar to funnels. The most important chakras are seven chakras that open to the front side of the body (with exception of the first chakra – the Muladhara – and the last chakra, the Sahasrara) and which emanate from the spine with their slender stem. Every chakra has an opposite chakra. Jointed together, chakra and opposite chakra look like a spindle. 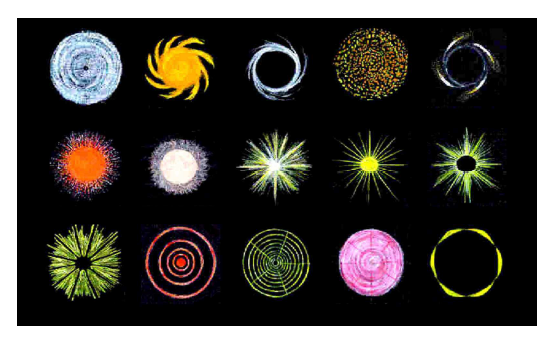 Considering chakra pictures, one has to distinguish between meditation pictures (yantras) and chakra images seen with a kind of inner sight or clairvoyantly. 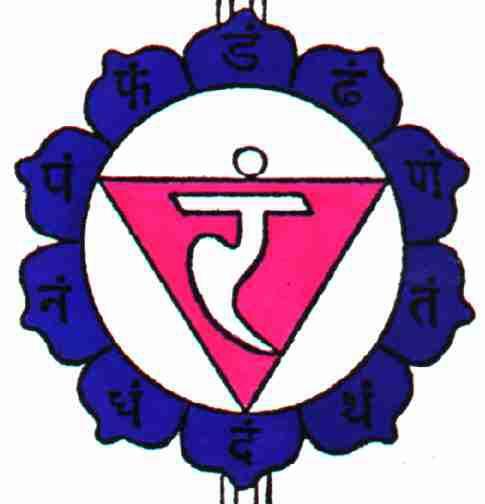 A meditation picture of a chakra contains symbolics of various kinds: the element associated with the chakra, the corresponding deities, the mantra (magic syllable = Bija-Mantra) and the symbolic number of petals (which is connected to the Sanskrit alphabet). An energetically stimulated chakra is seen as a center of energy which endowes the yoga practicioner with special abilities. The lower five centres are each associated with a supporting element: earth, water, fire, wind and ether (akasha) – which is traditionally seen as an element as well. According to modern Western depictions, the colours of the chakras are following the colours of the rainbow, beginning with red at the base of the spine up to violet at the crown.